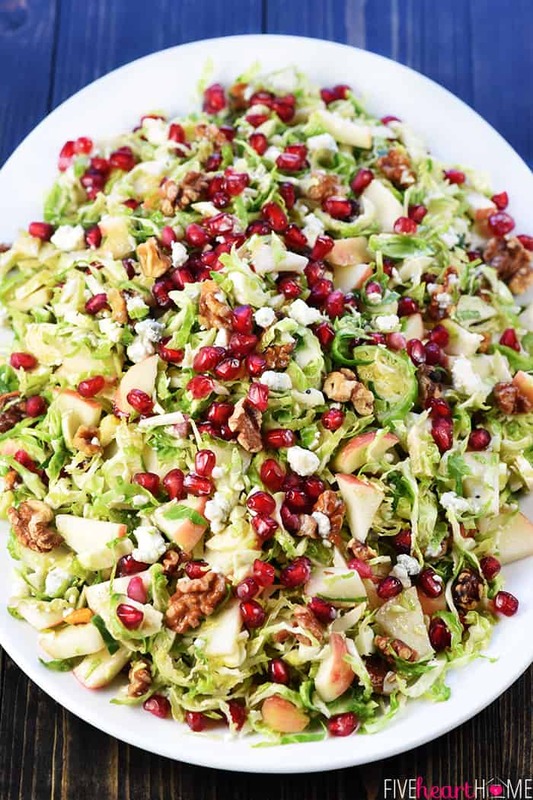 Holiday Brussels Sprouts Salad is loaded with sweet apple and pomegranate, toasty walnuts, and blue cheese for a fresh, gorgeous salad perfect for any meal! If there’s one thing I’ve learned in 4 1/2 years of food blogging, it’s that y’all love a good holiday salad. And, as luck would have it, I love creating new ones for you! So with Christmas right around the corner, I decided to come up with another gorgeous salad that’s bursting with color, flavor, and texture. 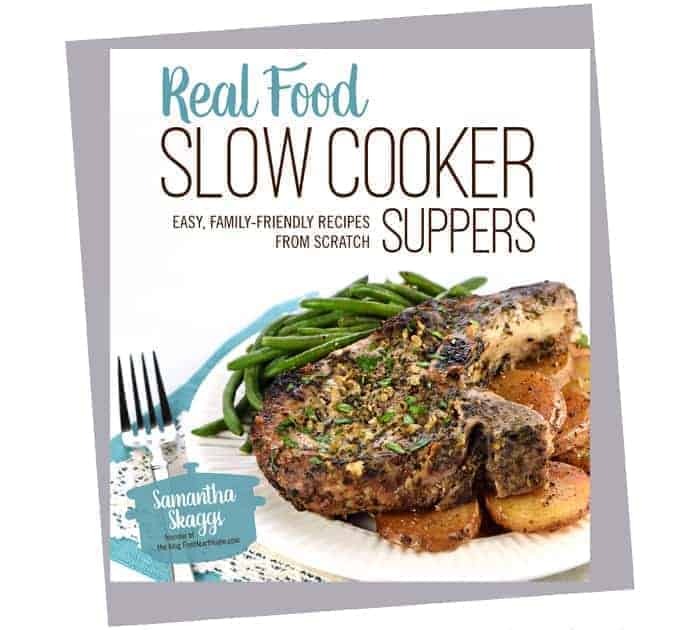 As popular as my Thanksgiving Salad and Holiday Honeycrisp Salad and Easter Salad are, I wanted to make this one different. At the same time, I didn’t want to give up my beloved combo of sweet fruit + crunchy nuts + salty cheese. So I decided to instead swap out my usual salad greens with — wait for it — shaved Brussels sprouts! Whoa…hold the press. Brussels sprouts? In a SALAD??? That’s right, friends. 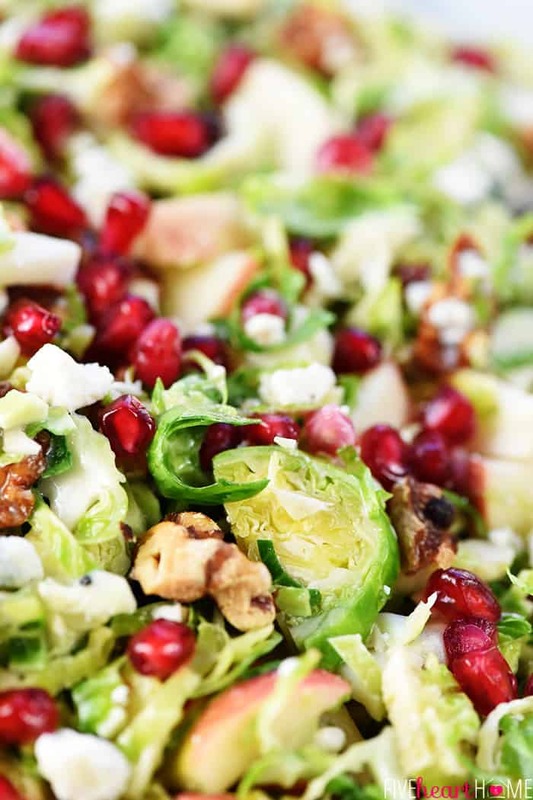 Brussels sprouts aren’t just for roasting and gratin-ing. 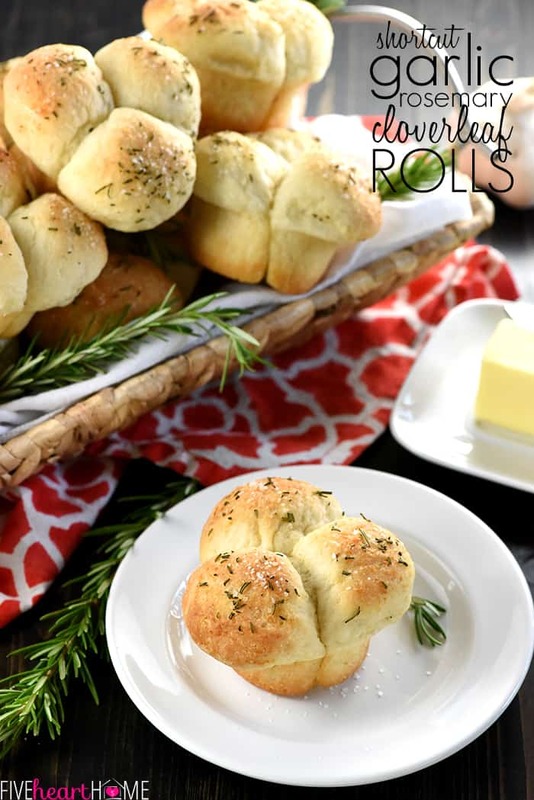 They’re also positively delicious when left uncooked and thinly sliced into a refreshing, healthy salad! Next come the nuts. Toasting them is a must, in my humble opinion. I typically use pecans in salads because, well, we live in Texas, and every good Texan knows that the mighty pecan is our state tree. Also, pecans have a naturally sweet undertone that my family enjoys. But putting Brussels sprouts in a salad means branching out, by golly, so I decided to go with crunchy toasted walnuts for this salad. And while I enjoyed the change of pace, my kids thought walnuts were bitter as compared to their beloved (and familiar) pecans. At the end of the day, you can’t go wrong either way, so use your favorite nut. Onto the cheese! I was wanting something soft and crumbly, and I decided that pungent blue cheese would be just the thing to balance out the sweet fruit. If you’re not a fan of blue cheese, of course, you can swap it out for crumbled goat cheese or feta instead. 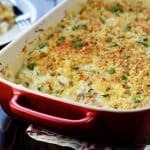 If using a milder cheese, you just might want to bump up the amount a bit (to about 1/2 cup). And finally, the dressing. 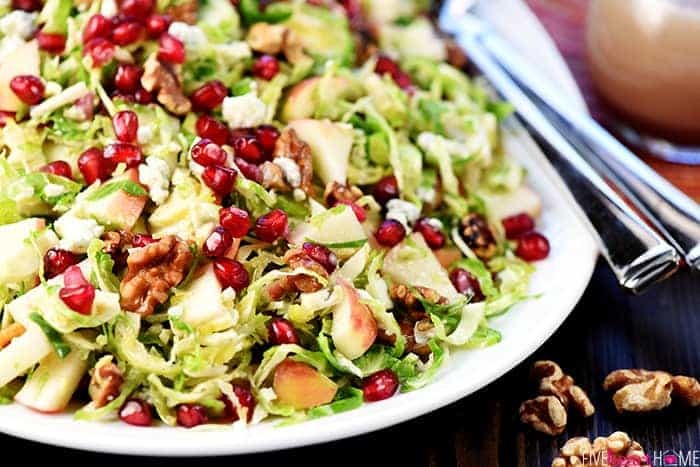 This Holiday Brussels Sprouts Salad is dressed in a simple, rosy vinaigrette featuring white wine vinegar, pomegranate juice, and a touch of honey. 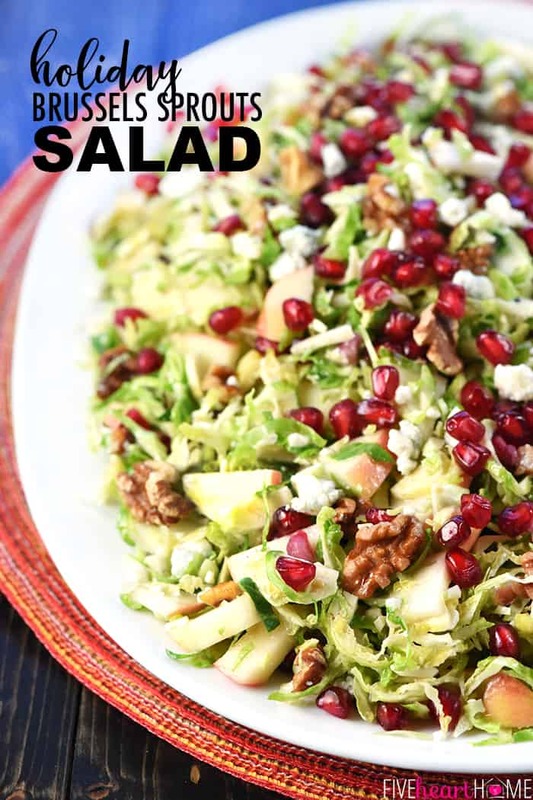 The vinaigrette both flavors and softens the shaved Brussels sprouts, so mix it in just before serving for a crunchy salad, or let it marinate in the fridge for a few hours for a softer, more coleslaw-like texture. 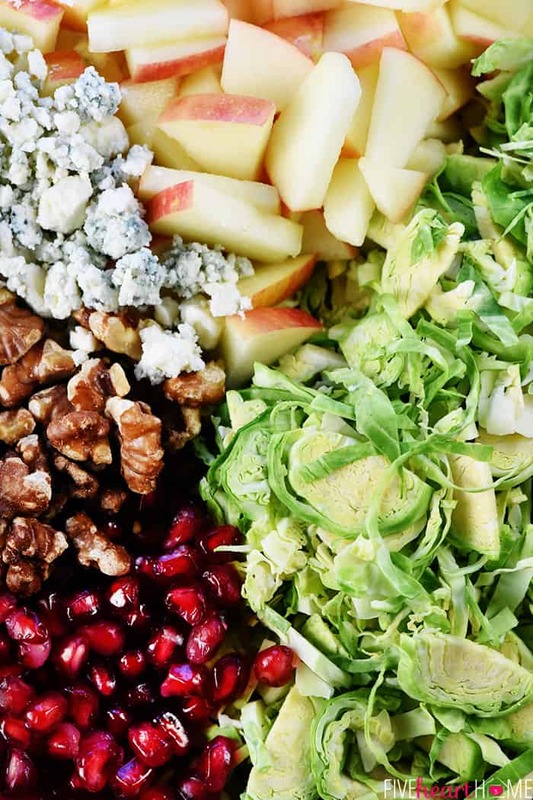 This salad is so crisp and fresh and yummy, y’all. 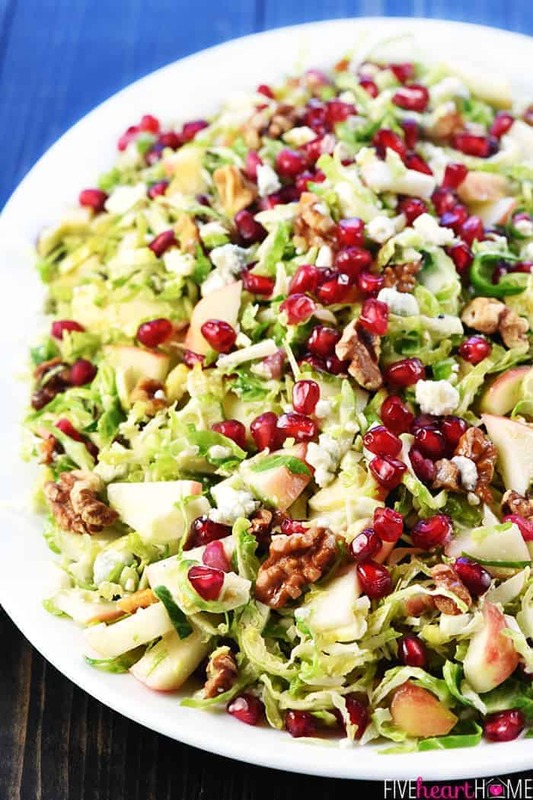 And aside from how tasty and pretty it is, the best thing about this salad is that it’s versatile…festive and delicious enough for holiday meals, but healthy enough to enjoy once New Year’s Resolutions kick in next month! Would you believe that even my kids scarfed it down?! In full disclosure, I made it while they were at school. And I didn’t exactly tell them what the green stuff was…I just told them that it was “kind of like coleslaw.”? Can you blame me? I knew they wouldn’t have given the salad a fair shake had they seen me chopping up raw Brussels sprouts, and I wanted them to taste the final dish and decide if they liked it based on flavor. 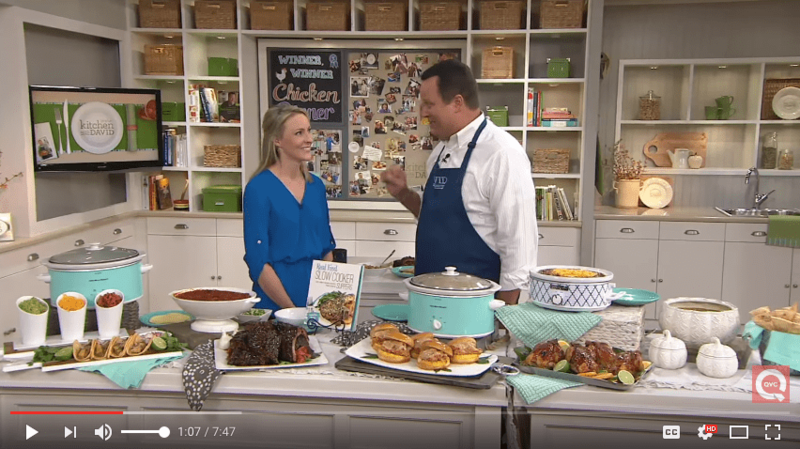 And they did like it…they really, really did! So I still haven’t told them it’s Brussels sprouts in hopes that they’ll eat another bowl of the leftovers tonight.? 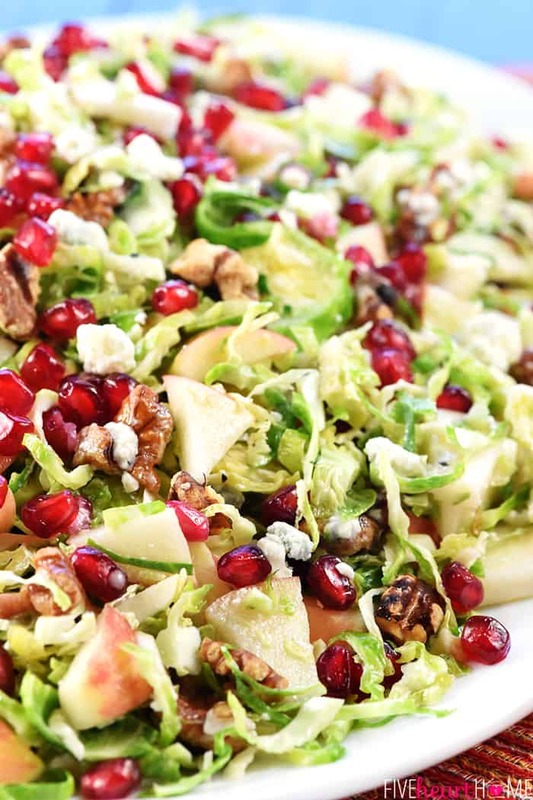 I do hope you’ll give this new Holiday Brussels Sprouts Salad a whirl! 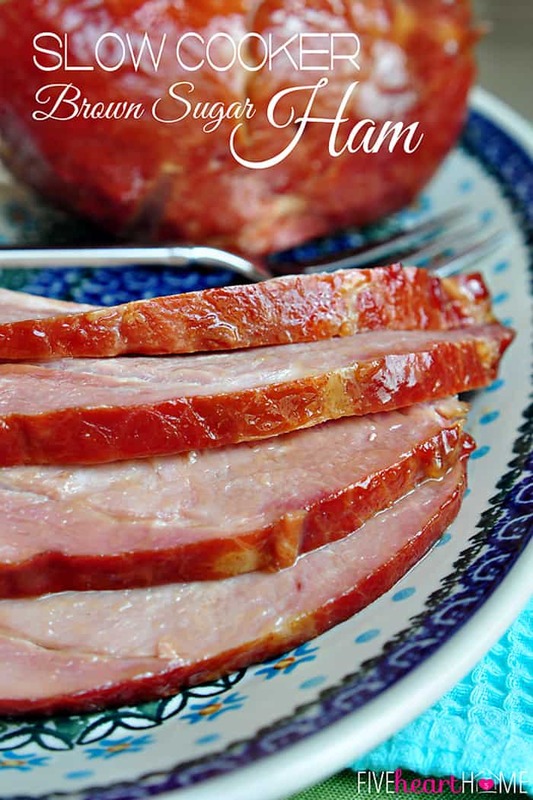 Not only is it lovely to behold, with its gorgeous colors and varied textures, but it’s just the side dish to cut through the rich decadence so prevalent in a holiday meal. 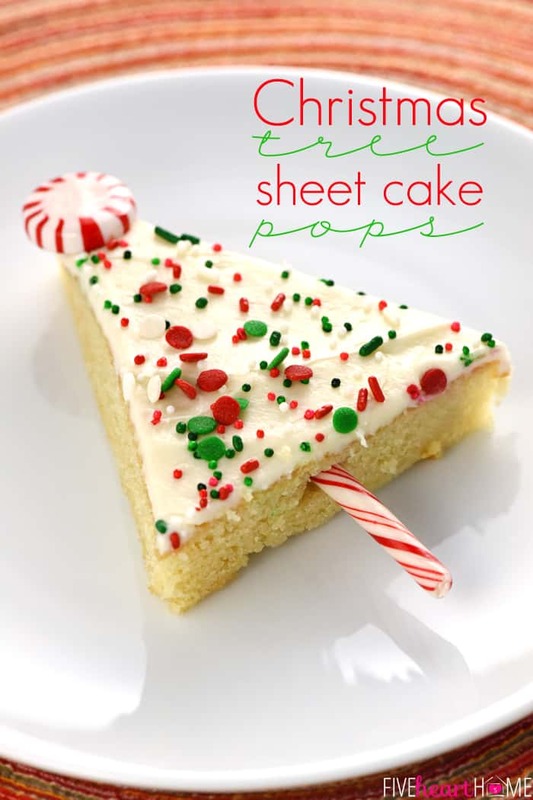 Now don’t get me wrong…I love me some rich decadence for Thanksgiving and Christmas and New Year’s and Easter. But it’s also nice to have something a little lighter on my plate to break things up. 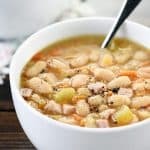 If you feel the same way, I think you’ll enjoy this recipe! 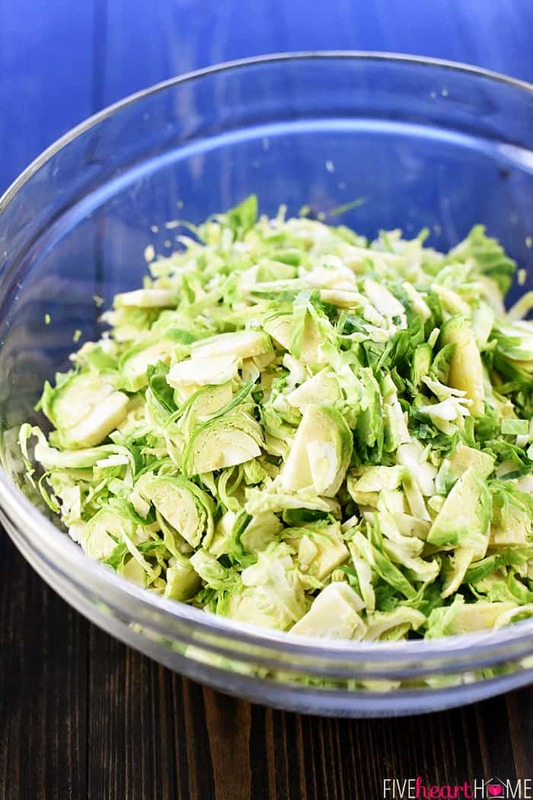 Larger Brussels sprouts are preferred for this recipe (less of them to deal with per pound! ), and you’ll want them to be as finely shaved/thinly sliced as possible. 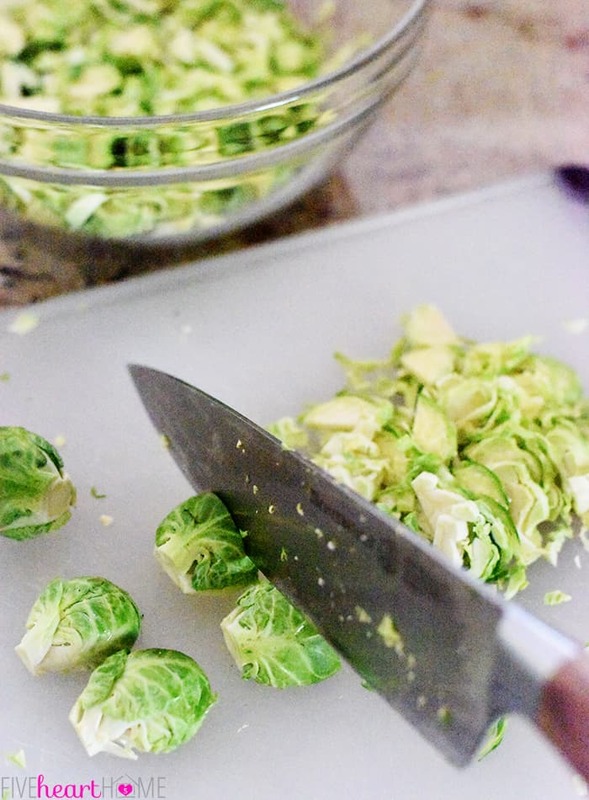 For each Brussels sprout, I used a sharp knife to cut off the stem. Then I peeled off any browning leaves and cut the sprout in half from top to bottom. Next I laid the two halves flat side down and sliced them as thinly as possible (see photo below, but keep in mind that I was holding the sprouts in place while I sliced them with the curled-under fingers of my left hand…but I needed that hand when I took this sorry-it’s-grainy-my-kitchen-is-dark photo). Alternatively, you may slice each Brussels sprout on a mandoline (just go slowly and watch those fingers!) or in a food processor (using a thin slicing disk, like this one). 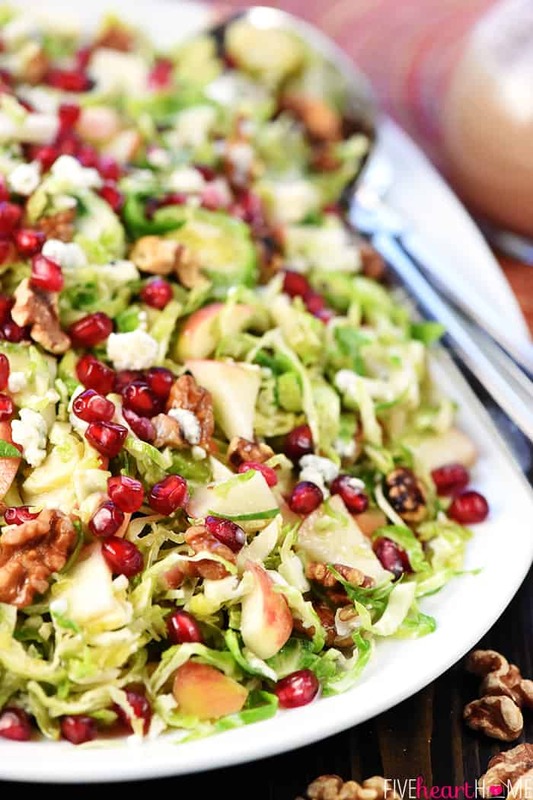 One fresh pomegranate will produce enough seeds (well, technically they’re called arils) for this salad. For the least messy experience, I prefer to seed a pomegranate underwater. Fill a large bowl with cool water, score the pomegranate around the center, and pull the pomegranate in half (so as to not slice into the arils). Take one half of the pomegranate and, holding it underwater, break it into large pieces and pop out the arils, allowing them to fall to the bottom of the bowl. When you are done extracting all of the arils and discarding the pomegranate peel, most of the pieces of membrane will be floating in the water as the arils will have sunk. Pour as much water and membrane out of the bowl as possible, without losing any arils. Pour the arils and remaining water into a colander and pick out any remaining membrane. Repeat with the other half of the pomegranate. 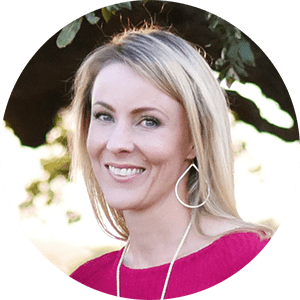 If you prefer, you can swap dried cranberries or cherries for the pomegranate arils, but you may want to use slightly less since the flavor of dried fruit is more concentrated. I love honeycrisp apples for their sweet flavor, appealing color, and perfectly crisp texture. I also appreciate that, once cut, they don’t brown as quickly as certain other varieties. 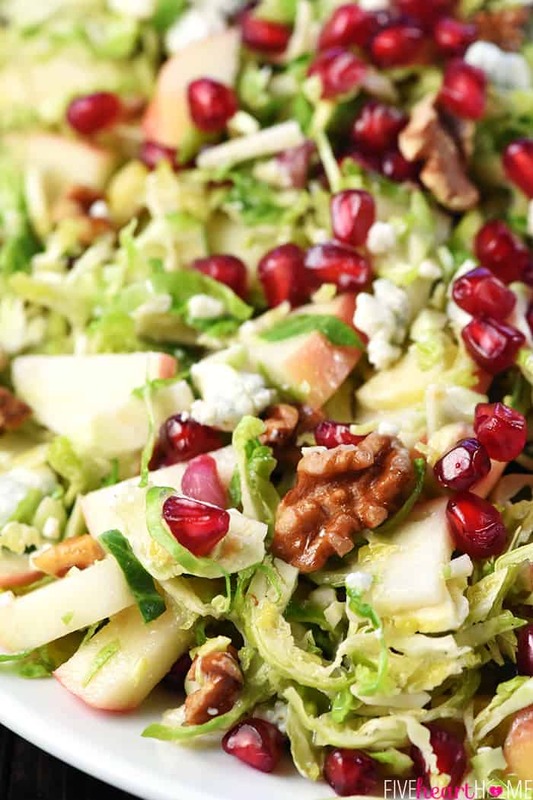 Pink Ladies or Granny Smiths (for a more tart option) would also be nice in this salad. But whatever type of apple you use, you should still toss your diced apples in lemon juice to keep them bright. 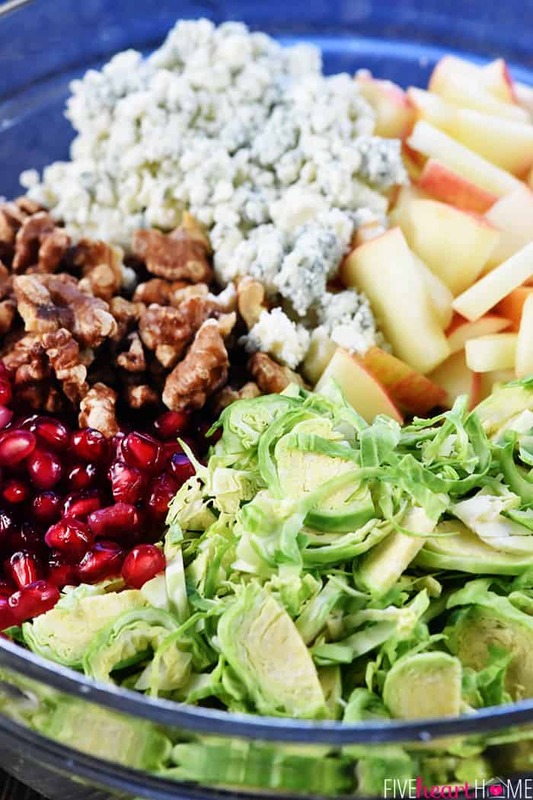 For extra texture, I prefer using broken walnut pieces in this salad, but you could also coarsely chop them. To toast your walnut pieces, preheat the oven to 350°. 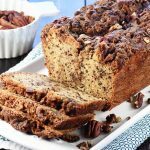 Spread walnuts on a sheet pan and bake for 5 to 10 minutes or until fragrant and lightly toasted. Allow to cool. If you don’t have pomegranate juice for the vinaigrette, you could use cranberry juice or apple juice or, really, just about any type of juice you have on hand. 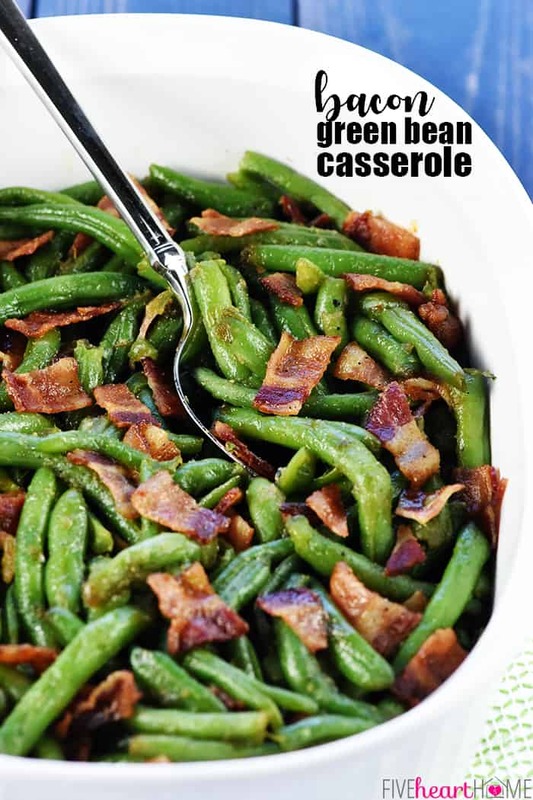 This recipe will probably make more dressing than you need…but I’d rather you have too much than not enough, depending on how much you prefer to add to your salad. Refrigerate leftover vinaigrette to enjoy on other salads. 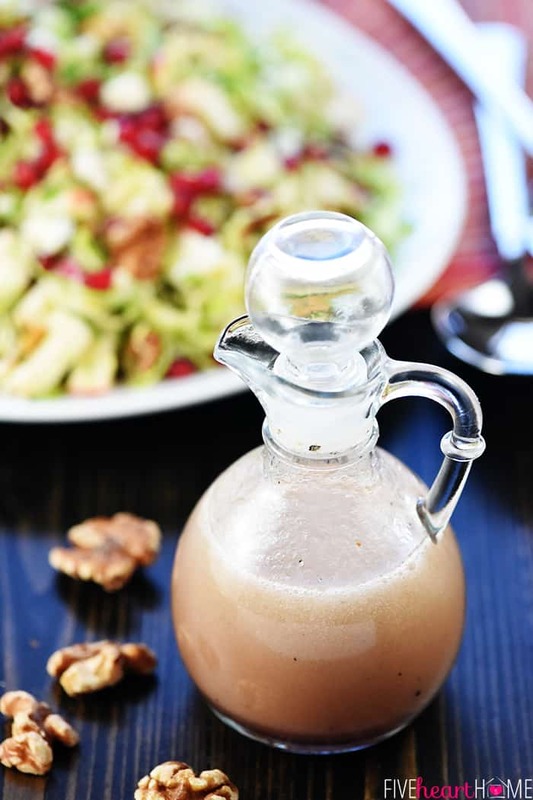 To prepare the vinaigrette, measure the oil, vinegar, juice, honey, lemon juice, salt, and pepper into a mason jar. Tightly screw on the lid and shake vigorously until everything is thoroughly combine. 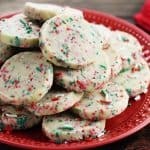 Alternatively, you may briskly whisk the ingredients together in a medium bowl, or blend them in a blender or mini food processor. Place the diced apple in a large plastic baggie and drizzle lemon juice over them. Close the bag and shake to coat. 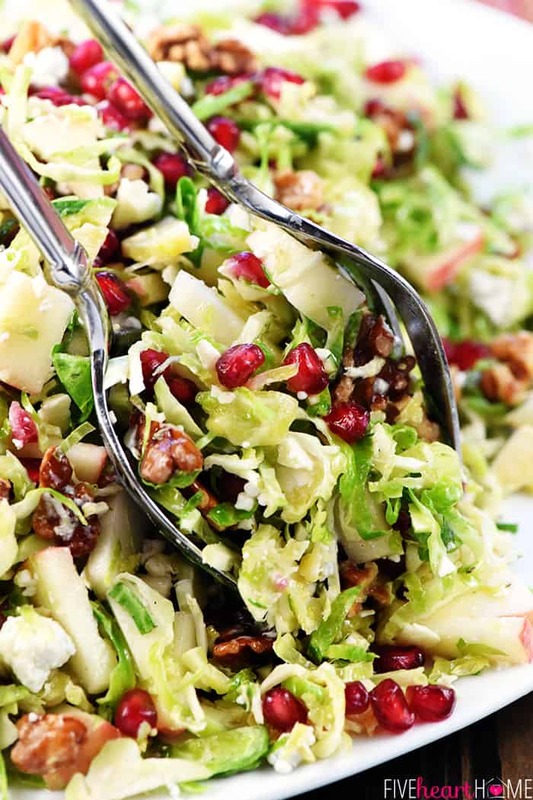 In a large salad bowl, layer the sliced Brussels sprouts, diced apple, pomegranate arils, walnuts, and blue cheese. Dress with your desired amount of vinaigrette and toss until the salad ingredients and well-combined and evenly coated. Serve immediately for a crunchy salad, or chill in the fridge for an hour or two for a softer, marinated salad.